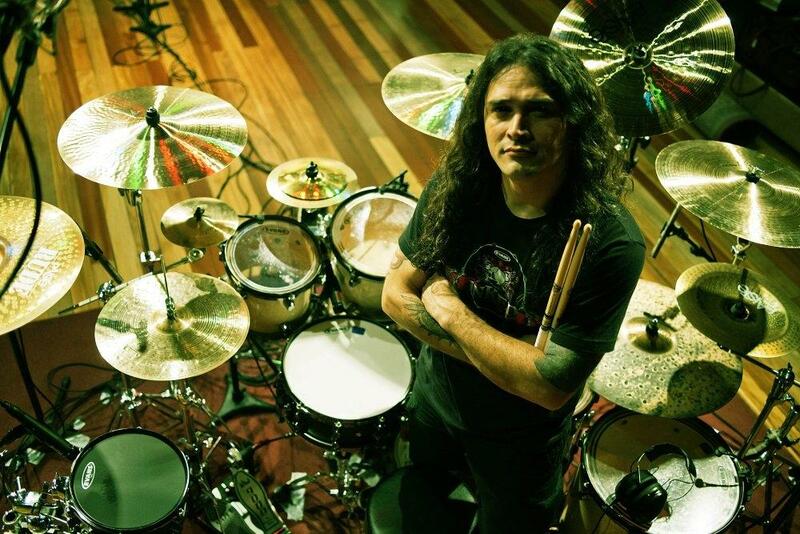 Aquiles Priester, one of the most important drummer in the progressive music world. Tenacity, independence, power and clean playing his characteristics. 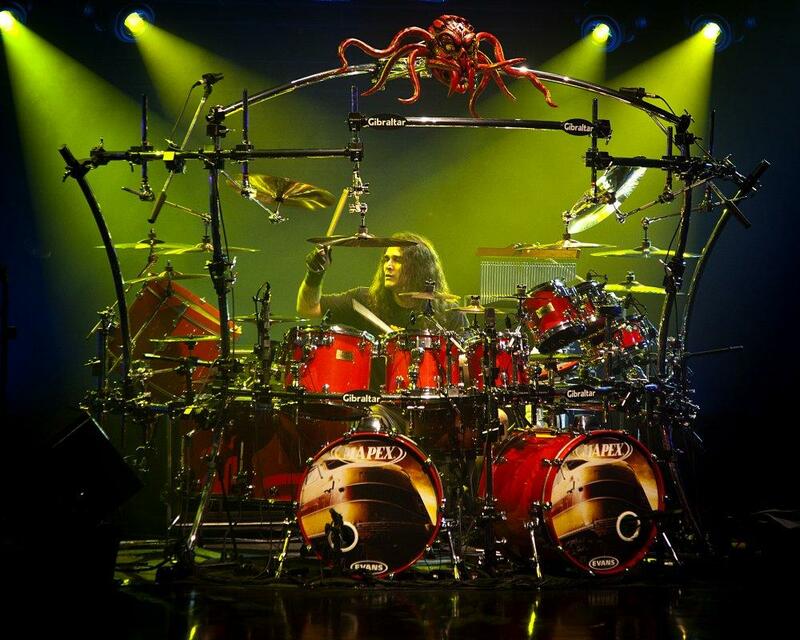 2011 it’s probabily the year that will stay forever in his mind, Dream Theater ask him to attend the casting set up after Mike Portnoy leave the band. Although he wasn’t chosen being called for that casting It’s a big honor and his visibility has reached an higher point. Gabriele Bianco - In your busy life as a musician you've found time to realize methods and DVDs. What prompted you to dedicate time to their achievement? Aquiles Priester - Those who appreciate my work expect some kind of didactic material to be released from time to time. I’m in no hurry to do many things so as to have a vast catalogue. My greatest concern is to maintain a high level of quality in everything I do. Come to think of it, free time is something that doesn’t exist, but if you want to go ahead in your career, you have to make time to realize the things that are important and at the right time. G.B. - Your last instructional DVD (The Infallible Reason Of My Freak Drumming), is very practical with regard to the division of chapters. Did you choose this subdivision by yourself? A.P. - Yes, I produced the DVD myself and it was based on things that I always studied. Everything I learned with Kiko Freitas at the time when I studied with him is included in the DVD. This goes beyond the exercises themselves because I’m talking about the conception of the work. Many people comment that the way in which the DVD is presented is very good and that makes me very happy. This DVD was released worldwide by Mel Bay Publishing and in 2011 was considered 3rd best instructional DVD of the year according to readers of Modern Drummer magazine. G.B. - How long did it take to complete it? A.P. - I did a long pre-production, almost 15 days recording and rehearsing the whole script during 8 hours daily alone on a farm. I did all the recordings only in two days and on the second day I recorded over 12 hours straight, with a very short break to eat something. No one knows all the work it takes to record a quality DVD nowadays. G.B. - It reached the success you've expected? A.P. - It was way beyond what I expected. When I began the project, my goal was to take a sample of the DVD to the Namm Show 2010 and land a worldwide contract. That happened through Mel Bay, which not only released the DVD, but also my instructional book “Inside my PsychoBook – 100 Double Bass Patterns”. It is great to go into big stores around the world and see your DVD and book on display. It is a reward for so much dedication and work. G.B. - I think "PsychOctopus Solo" fully represent your style: latin blood, elegant in its execution, but progressive in the essence. How did this song come to life? A.P. 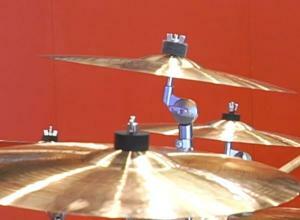 - That solo is very much inspired by Neil Peart’s solo in Rush’s DVD “A Show of Hands”, released in 1989. I always wanted to have a solo with back tracks and it was conceived with the help of my great musical partner Fábio Laguna, who nowadays plays with me in Hangar. We spent two afternoons together working on those parts. I hummed them to him already imagining the rhythm of the groove and he created the musical harmony. I paid a homage to Buddy Rich which is a shock, for no one expects me to play a passage of “Mercy, Mercy, Mercy” in a drum solo of a heavy metal drummer. As you, Thomas Lang commented that this solo was very elegant after watching one of my drum clinic at the Musicians Institute in Los Angeles. G.B. - You've got the pleasure to play with Paul Di Anno and follow him on tour. How did you meet him? A.P. - The owner of a label saw me playing at a pub in São Paulo and invited me. Actually he said that he was the singer of a big band, but I never imagined it was Paul. I always was and still am a great Iron Maiden fan and to play with Paul was unique for my career. It was the first tour I did in Brazil and that lit a huge flame inside of me since at the time I still held a regular job parallel to music. G.B. - Then you were also called from Vinnie Moore. In this case, what happened? A.P. - This happened by chance. Hangar was supposed to open Vinnie Moore’s gigs in Europe in 2008 and our European manager sent Vinnie a copy of our album “The Reason of Your Conviction”, which had been released in 2007 so that he could get to know the band. The tour didn’t happen, but Vinnie asked our manager if I knew his work and if I’d by willing to go on tour with him. I knew Vinnie’s whole discography and two weeks later I posted a video on YouTube playing the song “The Maze”, which is one of the most complicated tracks he ever composed and which visits various musical styles. It was a good shot and Vinnie said he’d invite me to tour with him when possible. It took a while and only came to be in February 2010. It was worth the wait because, with this work, I got a lot of exposure out of Brazil. After that things really started happening for me. G.B. - The Freakeys are an instrumental band. Needing for large spaces of expression, or simple artistic choice? A.P. - The album was supposed to be a solo album by Fábio Laguna, but in the middle of the process he thought it’d be more interesting to use the name of a band. It was one of the most difficult albums I ever recorded and I overcame all of my limits at the time. We recorded in the middle of the tour for the album “Temple of Shadows” and we recorded about six tracks in one studio and then we recorded everything over again because we didn’t like the result. It is a great album and at the time many people compared it to the albums of the “Liquid Tension” project. G.B. - You are the Hangar group founder, born in November 1997. How much and in which way the sound of the band evolved from the from "Last Time" to "Acoustic, But Plugged In!"? A.P. - The album “Last Time” was composed and recorded at a time when we had very little experience. Hangar projected me and gave me freedom to play the way I always wanted to. I am very proud of the band’s discography and “Acoustic, but Plugged In!” is a compilation of our greatest hits. We only realized after some time that the repertoire of the album was practically the same as what we were playing at our regular gigs. G.B. - With Hangar, at the beginning, you have opened an Angra live. After you became their drummer. How did your entry into Angra? A.P. - I did an audition. I knew they needed a new drummer and at the time I was moving from Porto Alegre to São Paulo for work through the multinational I was working with at the time. It was a time of many changes in my life and everyone thinks that I moved to São Paulo to play with Angra when I actually had a regular job at the time. Back then it was difficult to decide if I really should go ahead with my dream of becoming a professional musician, but now, 10 years later, I know I took the right decision. My joining the band was well thought out and we did many tests until they were sure that I was the right person. G.B. - Do you think that Angra's sound have influenced the sound of the Hangar? A.P. - No, not in the least. Hangar always had its own sound which is difficult to label. That is still true today. We let the music take us wherever it wants to and our fans don’t demand that we record similar albums. G.B. - It was a tough decision to leave Angra? A.P. - It is always difficult to leave your comfort zone and start all over again. In 2007 when things weren’t going very well with Angra, it took that decision and it wasn’t easy. I didn’t know what was going to happen to my career, but I knew that I couldn’t remain in the band because I didn’t feel part of it. I couldn’t compose and couldn’t participate in the decisions that affected my life within the band. I was very sad with the course things were taking and the management of the band also didn’t please me. At the time it was tough, but today I know I took the right decision and made a bet on my career. If I had stayed on in the band, I’m sure I’d be a different Aquiles today and my career would have taken a completely different path than the one I am on now. G.B. - In 2011 you've published two works: "Inside Your Soul" (CD Relaunch) and "Acoustic, But Plugged In!". Is unusual for a progressive band to realize an entire acoustic album. Where dids the idea come from? A.P. - The album “Inside your Soul” had been out of print and many fans asked that it be re-released. That is why we decided to include some bonus tracks. As to “Acoustic, but Plugged In!” it is an album we should already have recorded since we’ve been playing acoustic since 2007. It was a huge challenge to re-write the arrangements of the album, not only on the drums, but also as a producer. I had to concern myself with the entire musical concept of the album. Speaking of the drums, the most frightening thing is that if I normally use two rides with big domes at the electric gig, at the acoustic gig I eliminated the ride and focused only on the hi-hat, in this case a big classic by Paiste, the Sound Edge 602. I have a funny story about this hi-hat. 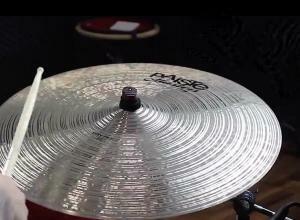 At the Namm Show of 2011, Ndugu Chancler played a jam with John Robinson at the Paiste booth and after they had finished, I took his hi-hat for myself. 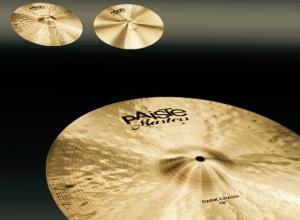 I told Andrew Shreve, Paiste’s artistic relations, “I want a little bit of his groove in my music”. And that is how I conceived my drums for this album; totally focused on the groove and using only a simple pedal. I wanted to do the opposite of what I always do in Hangar’s albums. But that doesn’t mean it was simple. The track “Colorblind” was even more frightening in the electric version. G.B. - Creating soundtracks for an acoustic purpose, required special arrangements? A.P. - Definitely! I had to create an interesting atmosphere, because independent of the size of my kit or the work I’m going to do, people expect something from me and I also couldn’t let myself down. The final result was excellent and we are the first metal band in Brazil to record an acoustic album. G.B. - To record "Acoustic, But Plugged In!" you've used a much smaller set rather than the one you use normally. What's the reason? A.P. - It wouldn’t make any sense if the acoustic album sounded the same as a regular Hangar album. I diminished the kit, used a higher tuning and also used lighter cymbals. None of the cymbals used for the recording of the acoustic album are part of my regular electric cymbal kit. I made a point of creating something special for the most challenging album of my life. G.B. - Tell us about your experience with Dream Theater. A.P. - That was a milestone in my life. I never imagined that I could be one of the seven drummers chosen all over the world for the most important audition in the history of modern music. It was amazing to take part of the whole process. My history if completely different from that of other drummers who were there. I always had a parallel job to my career since I was 15 years old. 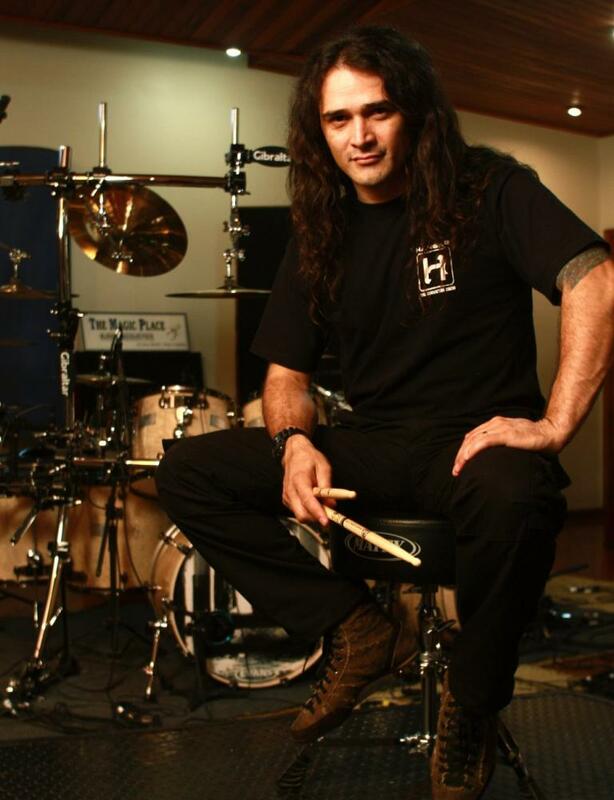 I only stopped working when I began the tour of the “Rebirth” album which I recorded with Angra in 2001. In other words, I have only been in the professional market for 10 years and look at everything that has happened to me. My first drum lesson I took when I was 22 years old. That was when I learned my first rudiment. Before that I played by ear and accompanying records. I had no idea there existed a drum technique. Without the Dream Theater audition maybe I wouldn’t be here in Los Angeles now rehearsing with Tony MacAlpine and preparing for a European tour. I am playing songs that have been recorded by Steve Smith, Deen Castronovo, Atma Anur, Mike Terrana, Virgil Donati and Marco Minnemann. According to him, John Petrucci indicated me for this work. I think doors never close on you when you do a good job. It was a great honor to be called for the audition because of the videos of my last DVD, which are basically tracks by Hangar and Freakeys. G.B. - Among the seven drummers called for the audition, you're probably the one with a more similar to Mike Portnoy’s style. What do you think has influenced the final choice? A.P. - Actually I always thought that Mangini’s style was always closer to Mike’s than to mine. I like speed and worry a lot about grip when I play. That doesn’t matter a lot now, since Mangini is doing a great job and only the band knew what they were looking for in the new drummer. Portnoy definitely influences my work for I always appreciated the band’s music. 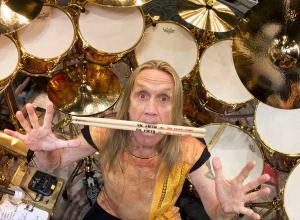 With each new album he always innovated and he is one of the guys who most influenced a new generation of drummers. The fact of having been contemplated to substitute him is reason enough to be proud. G.B. - Was It hard to prepare DT's songs for the audition? You were already very busy at that time I know. A.P. - Hangar was on tour and I needed the band’s backing to go do the audition. I isolated myself in a farm for two weeks and immersed myself in Dream Theater’s world with DVD’s, CD’s and everything that involved the band. I was pleased to know that I was still capable of dedicating myself for some many hours and days in a row for such an exclusive event. To play the songs that Mike had composed and arranged was not as easy as people imagine. He has a unique style and that is what makes him such a special drummer. I am sure that Mangini also dedicated himself completely to this project and after he joined the band he still continues doing so. G.B. - In which way do your drums parts starts? A.P. - I focused on the three songs of the audition and also with the band’s style per se. I didn’t want to play everything exactly the same. I wanted to add a little bit of my own style when playing the band’s songs. G.B. - How many time do you spend studying drums? A.P. - Now that I can, I study whenever I have some free time. Besides, I also take care of Hangar’s affairs as well as my own and that takes up a lot of time. When I say I study the whole time, that doesn’t mean that I’m sitting at the drum set and playing. You can study using a practice pad, listening to different musical styles and also researching new stuff on the Internet. But what really takes up a lot of time is dedicating myself to Hangar’s affairs. But when I have to practice I have no problems whatsoever as to dedication. When preparing to play Tony’s repertoire, I practiced 10 hours straight because I didn’t have a lot of free time. As I was on tour with Hangar, I had to practice during Christmas and New Year non stop. I even had to practice on December 24th and 25th. I have no problem finding time to dedicate myself. I always like to be up to date with everything I have to do. G.B. - How do you prepare your clinics? A.P. - I have already done more than 300 drum clinics around the world and I have a program I follow. I feel very comfortable doing this kind of event. G.B. 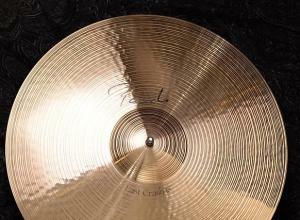 - Which are the characteristics of the instruments (drums and cymbals) you signed? How much did you put of yours? A.P. - In 2006, Mapex released my signature kit in South America and it was basically directed at metal lovers. It had two bass drums which was the most important detail since it was always difficult to find a kit with two bass drums at an accessible price. My signature cymbal that Paiste released in Brazil last year took me almost a year to test and more than 5 prototypes were made until we reached the sound I have today. This is really the cymbal sound I have always liked. If you want your ride to stand out in the middle of the groove, “PsychOctopus Giga Bell Ride 18” is the cymbal. The name alone is already scary. G.B. - You use the drum machine DD1 by DDrum. 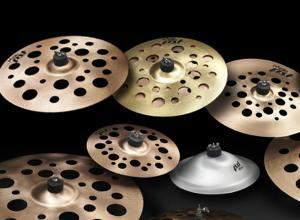 Are some of its components included in your acoustic set, or you use them separately? A.P. - I use it along with my acoustic set. I have a drum pad from the electronic drum set DD1 which has the scary sound of a gong bass. When I play it, the venue trembles on its foundations. G.B. - At the center of your drum-set, there is a mask that you often wear, what does it represent? A.P. - It represents my nickname: Aquiles Octopus Priester. That is how my fans call me in Brazil. This started as a joke and I ended up creating a very powerful brand that often times doesn’t even need my face or name to know that they are talking about me. G.B. - Looking back, how do you see your musical journey? A.P. - It is a frightening career. I am very proud of everything I have accomplished so far and I am certain that my career is flourishing outside my country and that is a result of a lot of work. When people think that I have already accomplished everything I could, there are always more cool things to do. After the Dream Theater audition, I played at the Modern Drummer Festival 2011 (that was recently released in DVD) and is a great success. I played at various other big drum festivals around the world in 2011 such as the Montreal Drum Fest in Canada, the Laguna Drum Fest in Mexico, the La Rioja Drum Fest in Spain, the Batuka Brasil! International Drum Fest in Brazil and the October Drum Fest in Poland. For the first time in my career I have been in countries of the Czech Republic doing drum clinics. In short, 2011 was a fantastic year and now I’m reaping the rewards of all this hard work. During my career I had the opportunity to meet two of my greatest idols and influences, Nicko McBrain and Deen Castronovo. The fact that I’m playing with Tony MacAlpine now is surreal for my career, a dream that has become reality. It was through the album “Maximum Security” that I met Deen and it is great to play live the songs he recorded in studio. Every time we play songs such as “Hundreds of Thousand” or “Violin Song” I remember how many times I listened to those songs and how I wanted to play them live someday. I think that I’m very blessed and I am very thankful for all of this. G.B. - Do you have any particular project planned? A.P. - At the moment I’m completely involved with the finalization of the acoustic DVD Hangar recorded in December last year and also with the tour I’m going to do with Tony. I don’t have many plans besides keep on working my career in the most straightforward and professional way possible. Everything that may come as a result of this will be most welcome.